Tantalise your taste buds with this tangy, tasty grapefruit flavour concentrate. Blend your own unique e-liquid flavours! Blends is a new range of e-liquid products by iBreathe. 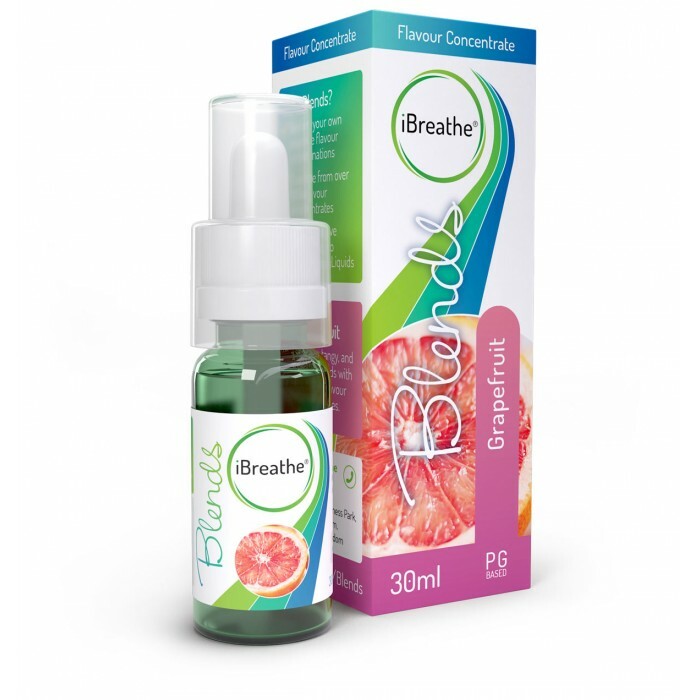 Unlike the traditional Premium & Cloud Liquids that are ready-to-use (blended), using precise & unique iBreathe formulations - the Blends range provides you with the separate components of an e-liquid so that you can blend your own unique e-liquid flavours. iBreathe Blends gives you, the vaper, ultimate control so that you can be creative and vape your own flavours – flavours that are so unique that you won’t be able to find them elsewhere. What’s more, iBreathe Blends is super fun to use! 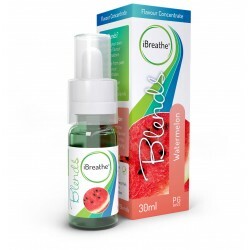 Watermelon Flavour Concentrate - 30ml Refreshing, juicy, and delicious. 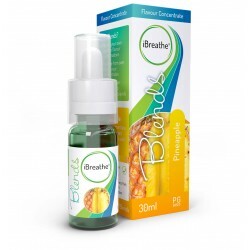 This flavour concentrate ..
Pineapple Flavour Concentrate - 30ml Enjoy a taste of the tropics with this sweet flavour concent..
Mango Flavour Concentrate - 30ml A ripe and juicy flavour concentrate with exotic fruit aromas. .. 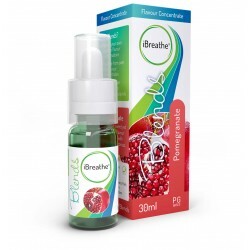 Sweetener Flavour Concentrate - 30ml Sweet tooth satisfaction guaranteed with this sweetener flav..
Pomegranate Flavour Concentrate - 30ml A subtle yet satisfyingly sweet flavour concentrate for po..
Litchi Flavour Concentrate - 30ml A sweet and refreshing flavour concentrate with an oriental twi..